Find out how to add youtube videos to wordpress without using a plugin and make your posts more informative, interesting and sharable! Why use youtube videos in WordPress posts? 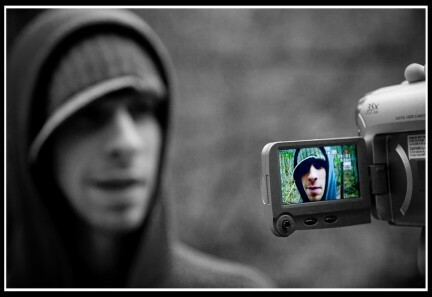 Exposure – Having your videos hosted on a dedicated youtube channel increases the exposure of your content since the videos are available for people searching on youtube as well. Slideshows – You can upload photos to youtube create great slideshows and share them within your posts. There are more than one ways to do it depending on what you want to achieve. This is the simplest and easiest way, all you have to do is go to YouTube and find the video you want to include in your wordpress post, copy the video URL and paste it in your post. The advantage of this method is that it is very easy to implement and the disadvantage is that you cannot modify the width, size or other properties of the video. Don’t forget that you can also set the youtube video to start a certain time using tags appended at the end of the youtube url. While viewing the video from youtube, click the Share button and then the Embed. You can then choose the video size from the predefined list (or choose a custom size), choose whether you want to show suggested videos when the video finishes or not and choose whether you want to enable privacy-enhanced mode or not. 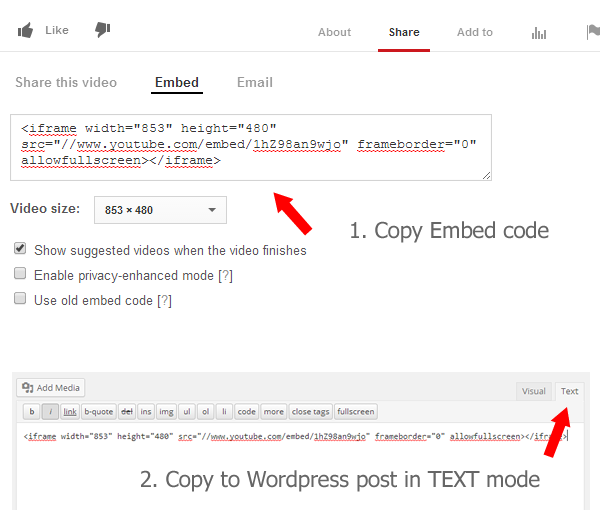 Once you are done, click the code from youtube and and paste it in your wordpress post but make sure that you do it while in TEXT mode and not VISUAL. That’s about it, if you found this post interesting you can also read how to schedule a post in wordpress and find out how to schedule your wordpress posts for publication and also how to post youtube videos on facebook.